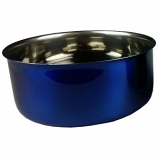 Perfect for birds dogs cats and small animals. Hygienic stainless steel. Ideal for wire cages. Non-spill design. . 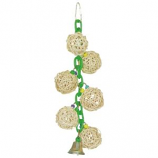 Perfect for birds that love to play and forage. 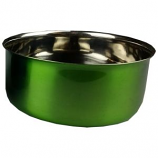 Keeps your pet entertained as well as giving exercise it needs. . . .
Wrought iron construction with a durable and safe powder coating finish. 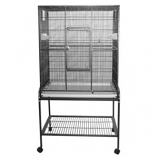 Horizontal side bars vertical bars front & back 1 breeder door 2 wood perches 2 feed stations. Large front door with safety latch for easy access. Slide-out metal grill and plastic tray for easy cleaning. 4 easy rolling casters and storage shelf. • Detachable Stand With Bottom Shelf Come With 4 Easy Rolling Casters. 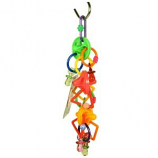 Encourages your birds natural instinct to forage and play. Facilitates agility intellect and overall well-being. 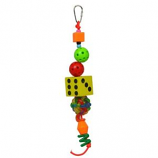 Toys are a crucial requirement for your birds good health. . . 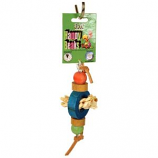 Recommended for x-small to small birds from finches and canaries to parrotlets lovebirds and similarly sized birds. 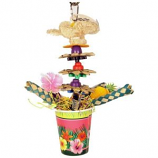 Easily clips to the top of the bird cage. . . .
A cozy sleeping tent for your feathered friend. Machine washable. 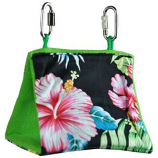 Soft fleece sides with a durable plastic insert at bottom. Includes two 2.5mm 100% stainless steel quick links. . .
A cozy sleeping tent for your feathered friend. Machine washable. 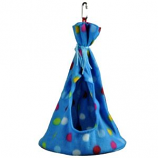 Soft fleece sides with a durable plastic insert at bottom. 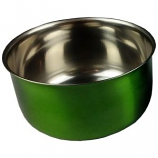 Includes two 2.5mm 100% stainless steel quick links. 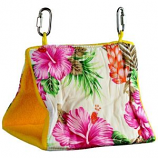 Machine washable. .
A healthy tasty tropical treat. 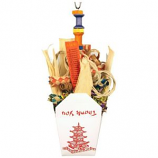 Made with real dried fruit and whole nuts. . . . 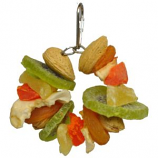 Encourages your birds natural instinct to forage and play. Facilitates agility intellect and overall well-being. 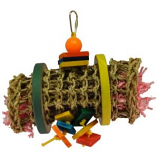 Toys are a crucial requirement for your birds good health. 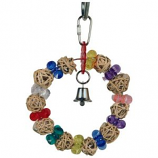 Birds love to play with bell on the chain. . . . .
Spiral blocks birds love to play on. 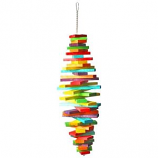 . . . .
Multicolored java wood toy with coconut pieces and shell. 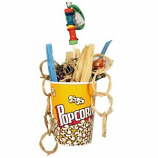 Durable construction for extended uses. Easily clips to the top of the bird cage. . .
• Metal Attachment That Connects To Any Cage. 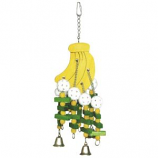 Large bananas with bells for birds to play. . . . . 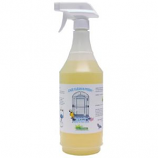 Provides a deep micro cleaning action on all bird cages and apparatus. Leaves a pleasant fresh scent that is all natural. Proudly made in the USA.